BEING a nomad is better than being homeless. 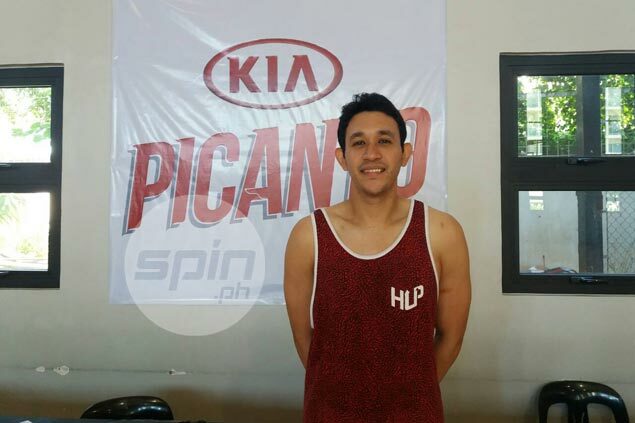 Just ask Dylan Ababou, who is now a member of Kia - his seventh PBA team in three years, and eighth team overall, in six years in the league. Already used to getting traded, the journeyman wingman saw himself in an unfamiliar territory when he became a free agent for the first time after failing to get a new contract from Phoenix. It didn’t take long for Ababou’s positivity to bear fruit as he gained a tryout for Kia and eventually signed a one-conference contract with the former expansion franchise. The former UAAP MVP out of University of Santo Tomas and original member of the all-amateur Gilas team looked destined for greater things after Barako took him with the 10th overall pick in the 2011 PBA draft, putting up a solid rookie season where he averaged close to double digits in scoring and 3.1 boards in 22.6 minutes. But it was downhill from there as he was traded to Ginebra, returned to Barako, then was shipped to TNT, Blackwater, GlobalPort, and finally Phoenix while struggling with an assortment of injuries. “Meron din frustration (about being reduced to a journeyman), pero konting-konti lang,” Ababou insisted. “Syempre you’ll feel bad, pero I take this as a missionary work eh… 'Yun 'yung gusto ni Lord na gawin ko sa bawat team na mapuntahan ko. Happy naman ako tsaka may peace. “Tsaka minsan yung pinag-usapan naming bible verse, ipo-post ng teammate ko sa Instagram o biglang favorite verse na ng teammate ko, so very fulfilling yung feeling na 'yun na by the grace of God, nakatulong tayo sa kapwa tapos na-point natin kay Christ,” he added. Playing limited minutes on the court has seemed to give him more time to profess his faith as the devout Christian has formed bible study groups with every team he has played for. But the Filipino-Moroccan wingman insisted he keeps his focus on the court. “Hindi naman (nawawala yung focus sa court), kasi once a week lang naman yung bible study,” he said. And with Kia team lacking in talent, Ababou, who turns 31 on December 7, is poised to prove just that. “Chance nga ‘to, opportunity ‘to na, first of all, makatulong sa team to win games, then makatulong din to make my teammates better, makapag-share ng natutunan ko,” he said. “Tsaka ayun, opportunity rin para sa akin na maibalik ko yung sarili ko, yung playing days,” the 6-foot-3 cager added. And signed to only a conference so far, he should waste no time to do so. “Syempre challenge talaga yun … to prove my worth once again,” Ababou said.